Training has to be in earnest now. The long Martin Luther King weekend provided the impetus for our first hike with weight since – oh, probably when we were training for Elbrus last year. But with Cotopaxi and still maybe Chimborazo looming a mere six months away, it’s time to ramp up. 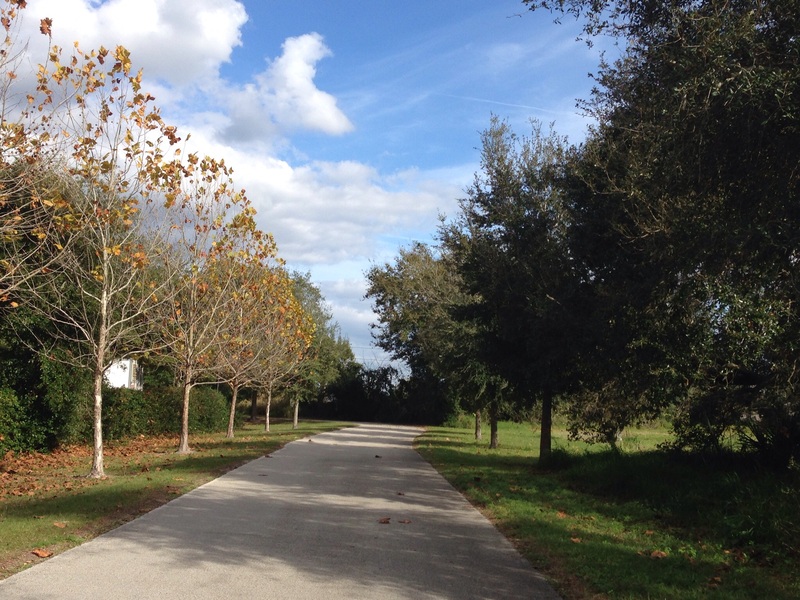 Orlando has been working on its urban and semi-urban trails for a number of years, and the West Orange Trail was one of the first. 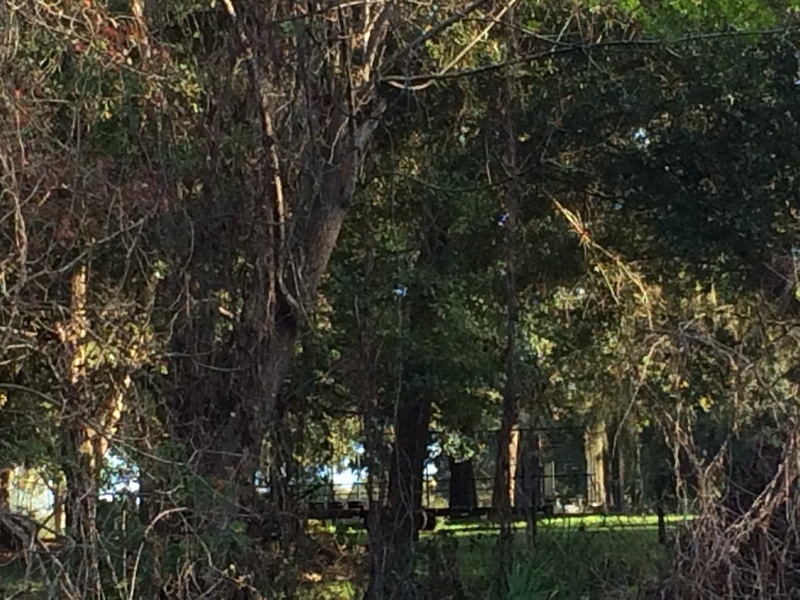 It stretches 22 miles from Killarney to Apopka, running mostly along abandoned railroad tracks. It passes through suburbia, a high end residential enclave, abandoned orange groves, and, every now and then, glimpses of the pine forests and palm hammocks that graced the state before development threatened to turn it into one giant subdivision. Husband J and I had hiked the segment from Killarney to Winter Garden last year, so we were already familiar with the classic car show that takes place in Winter Garden on Saturdays. People from all walks of life sit on lawn chairs with everything from Model Ts to 1967 Mercury Cougars on display. Somehow I don’t think my 10 year old Sebring convertible would have qualified. 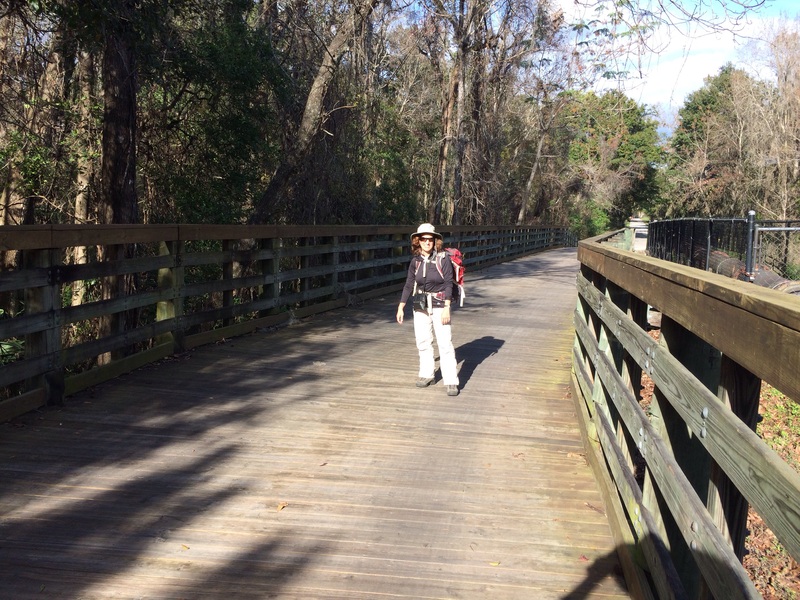 So this time we decided to load up the backpacks with about 25 pounds and walk the next segment, from Winter Garden to about three miles beyond the Chapin Station by Chapin Park, for a nine mile round trip. Before Ecuador this summer we are going to try to walk the whole length in one day. Hey, if the Romans could march over 20 miles every day, why can’t we? The first part of the trail cuts through several housing developments. One of the most striking features is the lengths and lengths of white vinyl fences that line the trail. The fences finally stop and you’re treated to a view of backyard after backyard – all of which blend into one another with barely any delineation. Talk about peer pressure to mow your lawn! Notably, I saw not one soul sitting outside on any of these neatly manicured grass strips, even on a beautiful Saturday afternoon. 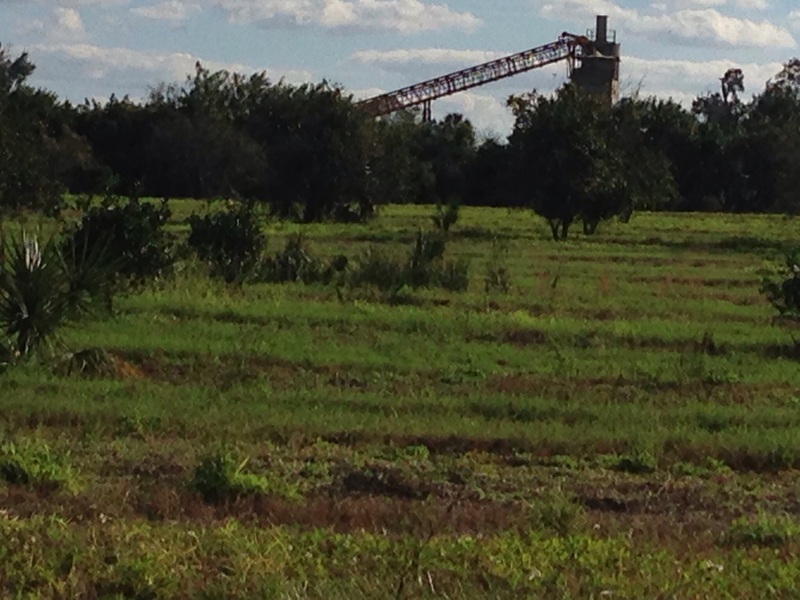 Finally, housing developments give way to abandoned orange groves. As we passed the one with the cement plant rising up out of the middle (see photo above), we heard what at first sounded like a loud rant of some hellfire and brimstone preacher. But as we got closer, in the distance we could just hear an amplified broadcast of MLK’s I Have a Dream speech. Somehow very fitting for the weekend, the trail and our training. The next segment did move into something approaching nature, although the sound of the highways nearby was never too far away. A hawk almost strafed our heads as we paused on the bridge shown above, and then settled into the trees, its plump belly blending into the mottled deep green black leaves. We passed by a specialty crop garden tended by a local high school, as well as what looked like an uninhabited barnyard with a big sign saying sustainable farming. And at one point, from a warehouse al out hidden by the trees, we could hear the throbbing bass of a rock band practicing. On the way back, it seemed to have transformed into something that sounded like a mariachi band. Same band? Or rented space? The West Orange Trail even has a few hills – at least by Florida standards. I just kept thinking to myself, “imagine it’s 10 degrees farenheit, it’s a 35 degree slope, and you are at 18,000 feet.” You’ve got to have some imagination to train in Florida. There’s a hawk somewhere in there – use your imagination!